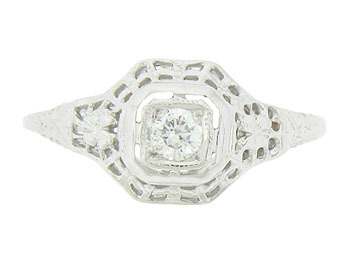 This exquisite 14K white gold antique engagement ring is set with a .15 carat, H color, Si2 clarity round cut diamond. 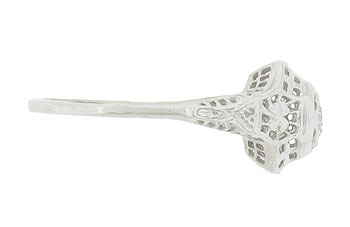 The dazzling diamond is set into a square domed mounting. 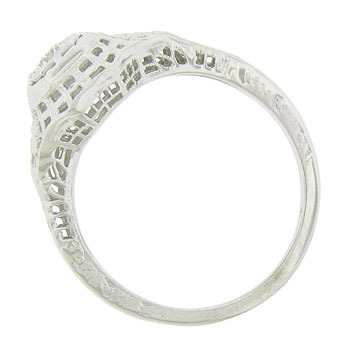 The shoulders and sides of the ring are decorated with layers of basket filigree. Large, engraved pansies adorn each shoulder. 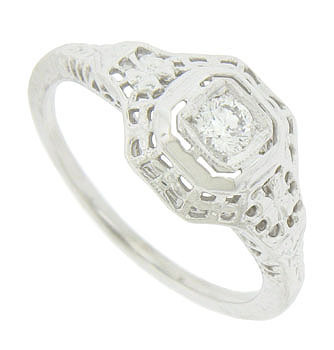 The Art Deco ring measures 9.26 mm in width. Circa: 1920. Size 6 1/2. We can re-size.